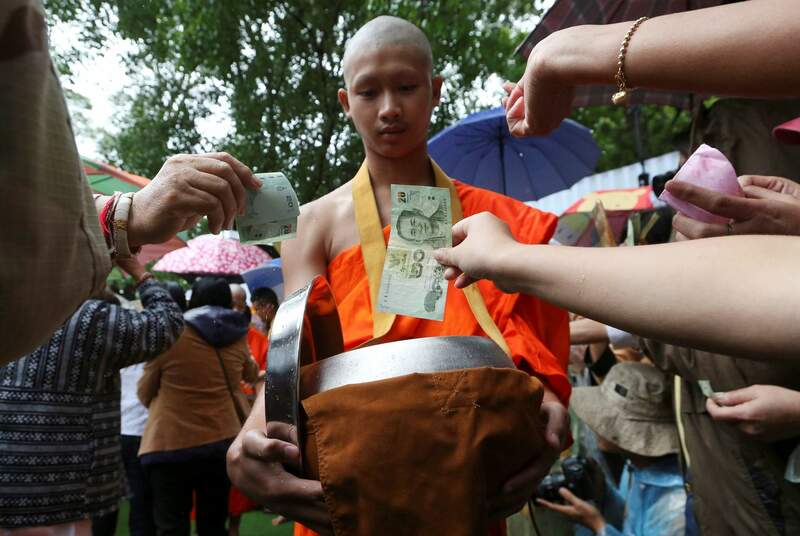 Followers offer banknotes to soccer team members as they are ordained as Buddhist monks and novices following their dramatic cave rescue last week in the Mae Sai district, Chiang Rai province, northern Thailand, on July 25, 2018. Buddhist males in Thailand are traditionally expected to enter the monkhood, often as novices, at some point in their lives to show gratitude, often toward their parents for raising them. MAE SAI, Thailand – The young soccer teammates and their coach who were rescued after being trapped in a cave in northern Thailand were ordained Wednesday at a Buddhist temple, a merit-making activity to show thanks for their rescue. 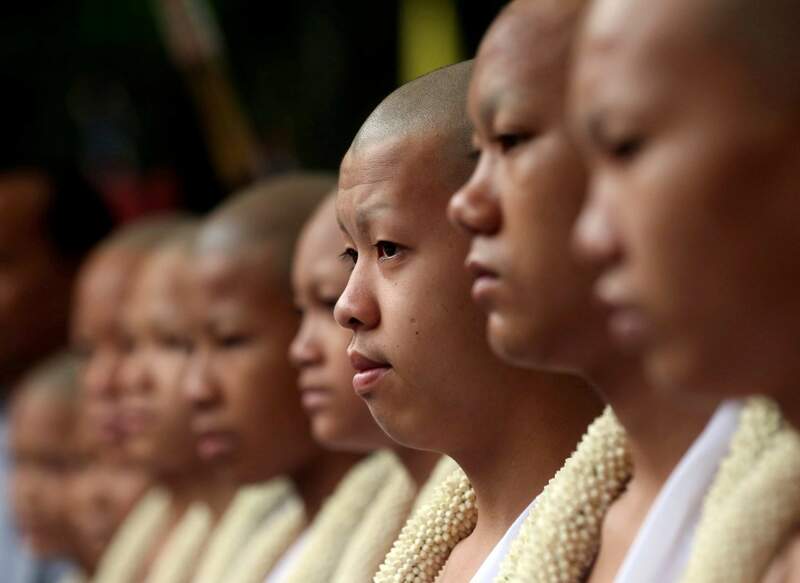 Members of the soccer team who were rescued from a flooded cave, attend a Buddhist ceremony as they prepare to be ordained as Buddhist monks and novices in the Mae Sai district, Chiang Rai province, northern Thailand, on July 25, 2018.